Hair oils have become increasingly popular lately, with different brands popping out of nowhere swearing that their hair oil achieves the best results! Hair oils are perfect for repairing damaged hair, leaving them well nourished and insanely glossy. But don't let the name fool you, hair 'oil' doesn't leave your scalp and hair greasy. 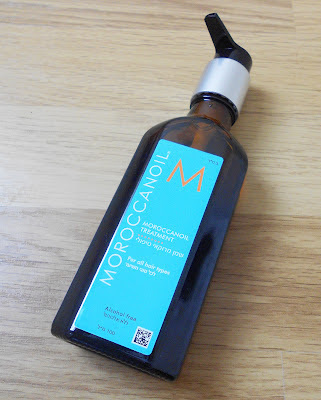 However many different hair oils i've discovered recently, there's always been one that i've been itching to try - Moroccan Oil. 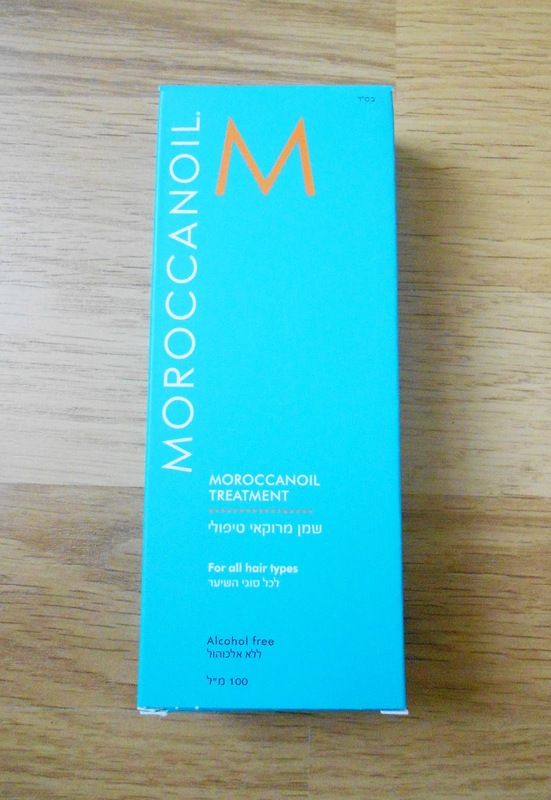 Nicknamed "The Holy Grail of haircare products", The Moroccan Oil Treatment is the first of many products in the Moroccanoil range, who specialise in products that are used by countless proffesionals and salons across the world. The original Moroccan Oil Treatment was the product that really got the company to where it is today, with its popularity spreading through word of mouth. 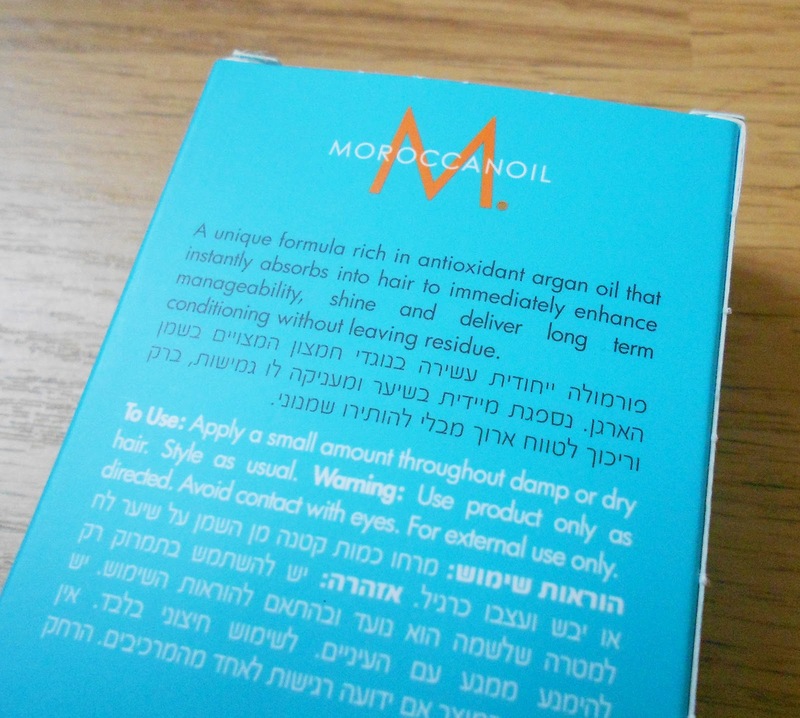 The treatment contains argan oil, used for years by tribes in Morocco. It has many properties, such as being a solution for scars, stretch-marks and of course, dry, damaged or frizzy hair. It promises to enhance managability, reduce drying time and repairs damaged hair by restoring lost proteins that are vital in keeping your hair strong. It contains vitamins that enhance the shine, antioxidants for protection from heat damage. It's also suitable for all hair types! Argan oil has since been used in other hair oils, but this is the original and recommended as being the best. I've wanted to try this product for a long time, but could never justify the price tag, but when I saw it featured on buyapowa.com (A website where the more people that want to purchase the item, the lower the price gets!) I knew this would be the only time I could justify buying it. The bottle comes in a generous size of 100ml, and comes with a pump for easy dispensing. 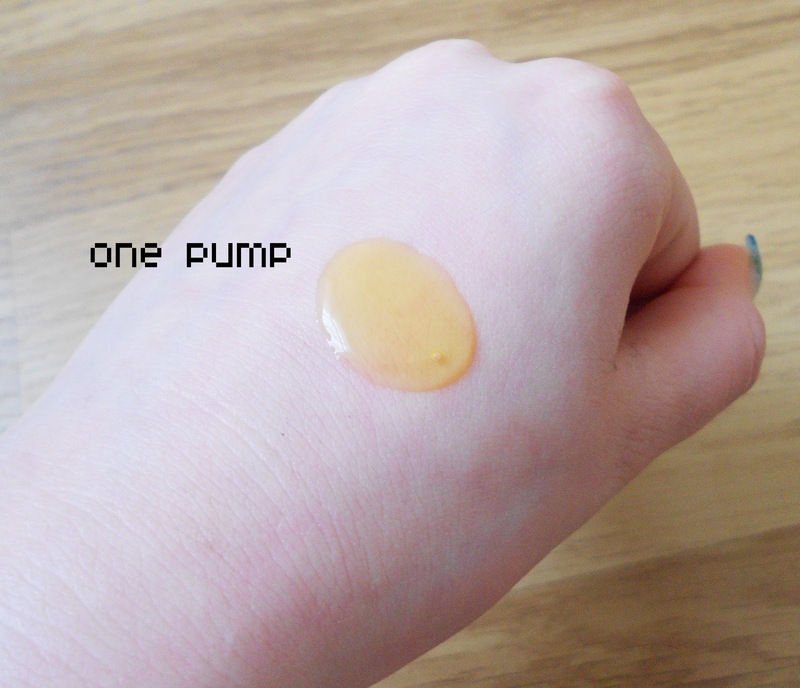 The directions for use are to use a small amount for each application (I use 2 pumps) so the amount is quite generous. The consistency is thick and oily - obviously, and it smells really warm and luxurious. To apply, wash hair as normal and towel dry until it's just damp. Then, use a small amount of product (A little goes a long way, you don't want to use too much product or it won't absorb it all and your hair will look greasy!) through your hair, starting midway down and through to the ends. Then either blow-dry or leave to dry naturally. The treatment can also be used on the ends of dry hair to tame stray hairs and frizz. Oh. My. God. My hair has never felt so smooth and styling was just so easy! The drying time was signifially reduced as promised, and my hair felt really like and silky. The only thing I found is that I applied a little too much in my fringe, so I had to counteract it with some dry shampoo to ensure that my fringe didn't look greasy - so trust me when I say to use sparingly. It absorbs into the hair quickly and my hair felt so sleek and strong. The only problem is the price. A 100ml bottle retails retails at £30.45, which I think we can all agree its quite a lot for a hair treatment. However, I managed to purchase mine for £25 via buyapowa.com and there are other sites that sell them at slightly reduced prices. However, this is an expensive product but in my opinion the benefits make it completely worth the money. I'm definitely going to use sparingly to ensure it lasts as long as possible as I don't want to be without it - when I packed it away for London and then released I didn't have it after I showered that night, I was actually disappointed; that's saying something. It really is, in my opinion, "The Holy Grail of hair products". 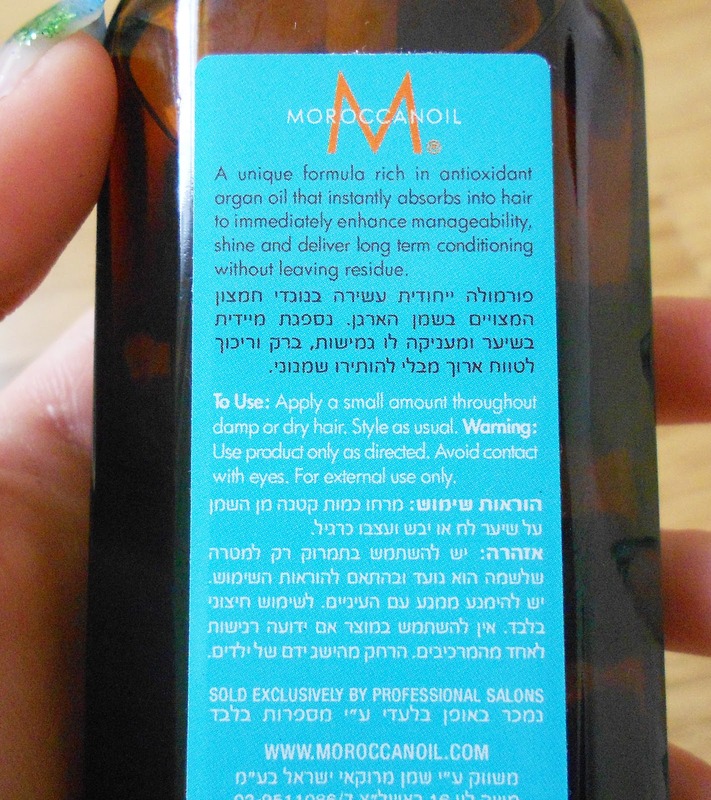 You can purchase The Moroccan Oil Treatment at professional salons nationwide or online at an official retailer. Click here to visit the Moroccan Oil website and browse their other great products. 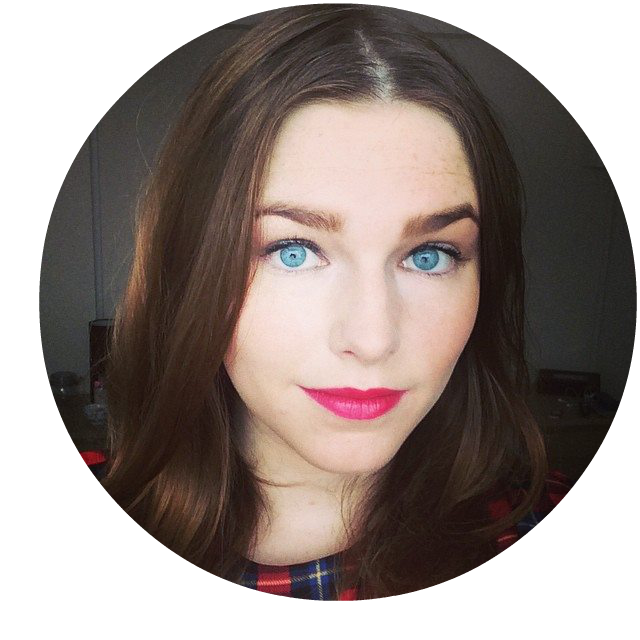 Be sure to vote for Sophie Says for the NEXT Newcomer Blog Award at this years Cosmopolitan Blog Awards HERE! Yea... MOROCCANOIL is GREAT PRODUCT !! !